My intent for Recycled Arch is an effort to practice and create ceramic art in a sustainable way: to successfully use left over and (what is thought of as) wasted materials such as the remnants of glaze collecting in the bottom of rinse buckets from rinsing tools. 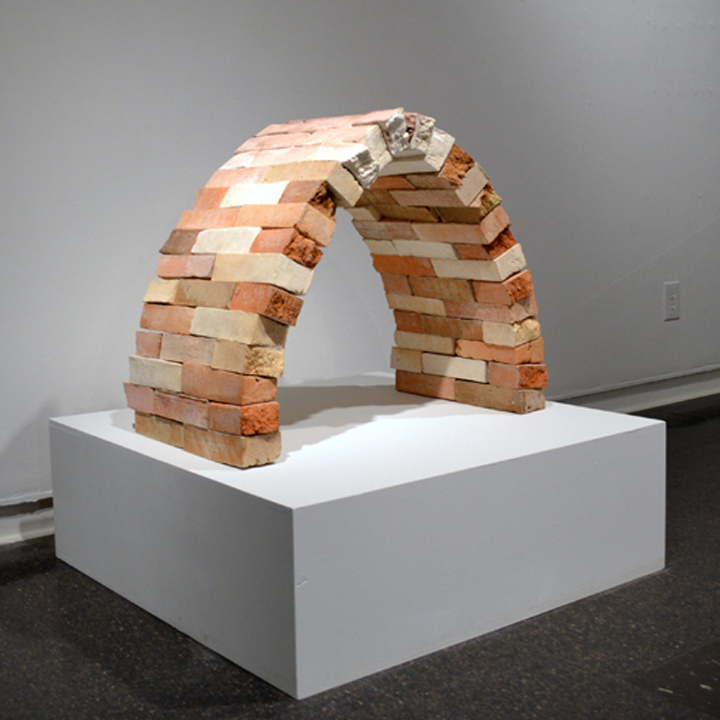 The bricks consist of a variety of reclaimed clay bodies and glaze waste with additives of fire clay and sand. 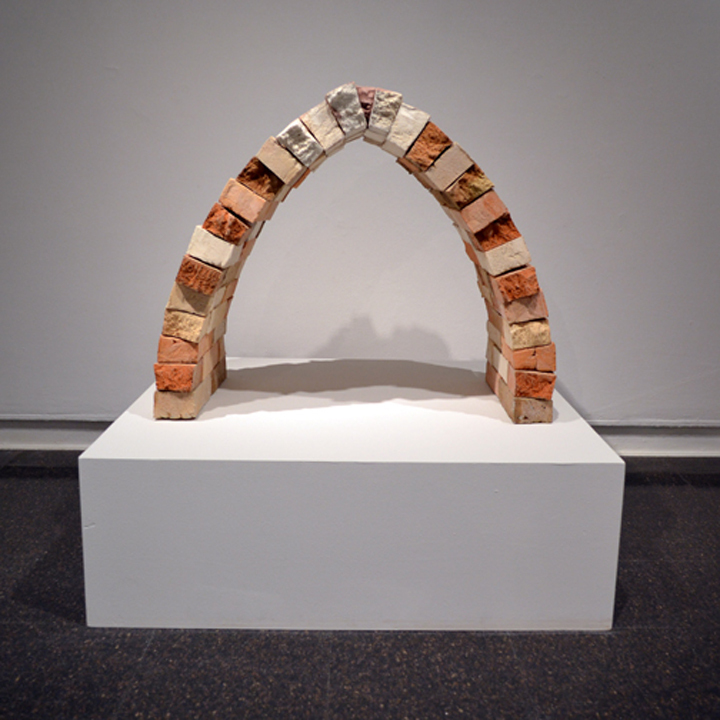 Materials used in this way to produce Recycled Arch was an endeavor that created an object of value from various materials that were considered not valuable; seen as scraps, trash, or waste. I imagine that if there were to be a ranking placed on permanence versus impermanence, the greater value would be on the permanent object, such as this created arch versus the waste materials of ceramic production.